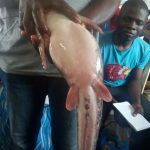 We can deliver catfish fingerlings or juveniles of the hetero-clarias (hybrid) specie to you anywhere in Nigeria from Lagos State. 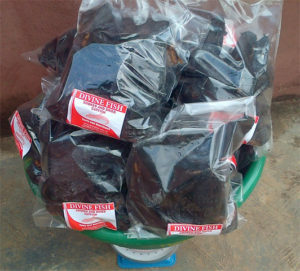 The first step is to call 08077776861 to confirm the availability of fingerlings. 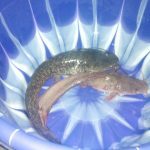 If you want fingerlings (4 weeks old catfish) and they are available they can be packaged and shipped to you within three (3) working days after payment has been made for them. 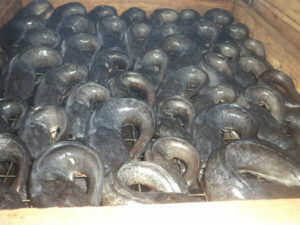 If you want juveniles (8 weeks old catfish) then you will first call to confirm for the availability of fingerlings. If fingerlings are available then you will book for them. This means you pay for them. On our part we will feed them and take good care of them till they grow to juvenile stage after 3 – 4 weeks. You can monitor the progress of growth of your fish within this period. When the fish have reached juvenile stage we will package them for you and send them by night through a reliable transport company. You can then pick the fish up at the transporter’s motor park the following morning. 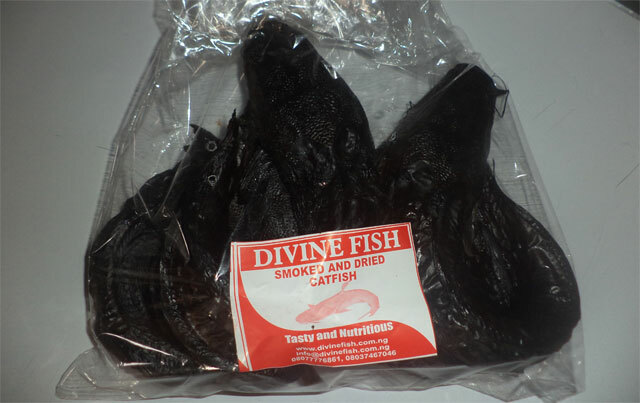 Call: Ugo on 08077776861; Email: info@divinefish.com.ng. You can click here to send us an instant message from our contact page. 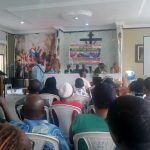 On Saturday, 29th July, 2017 we (divinefish.com.ng) attended the Smart Farms Seminar – Family Edition organised by PS Nutrac in Ikoyi, Lagos. 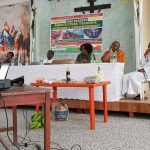 The event discussed how farming can be done at home using everyday materials and innovative techniques to grow green healthy foods and vegetables. Through smart farming agricultural productivity can be increased while agricultural wastage can be drastically reduced. 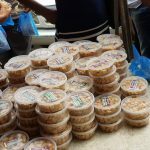 The need for every hand to contribute to food sufficiency in Nigeria cannot be overemphasised. 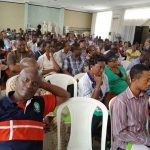 It was a day of learning that attracted over 50 farmers and farming enthusiasts from Lagos and surrounding states. Our take-away from the event was how to use the waste water from our fish ponds, which is rich in ammonia (a source of nitrogen), to fertilize our vegetable garden. Hopefully this will help improve our water management and increase our vegetable yield. The smart farm seminar was organised by PS Nutrac, a company committed to improved production of healthy foods using innovative techniques. Processing catfish using firewood and charcoal fuelled oven gives the fish a unique taste that is reminicent of traditional home cooking. The process is meticulous and it results in smoked and dried catfish that attracts premium price from discerning consumers. You can enroll for a practical hands on training course with us at our farm. Alternatively, you can purchase an e-copy of our detailed instruction manual with photos to guide you on catfish processing. Contact us if you are interested in learning how to add value to fresh catfish by processing it. Call: 08077776861; Email: info@divinefish.com.ng or ping BlackBerry PIN: D8BBC623. 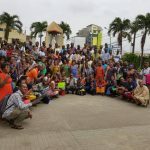 Divine Fish Farm exhibited at the Youth Enterprise with Innovation in Nigeria (YouWiN!) 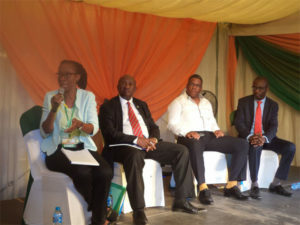 ‘Made in Nigeria’ Trade Exhibition which held on Wednesday – Thursday, December 7 – 8, at the Euphoria Event Place, 1B, Archdeacon Ogunbiyi Close, Ikeja, Lagos, Nigeria. The exhibition was organised by the YouWiN! 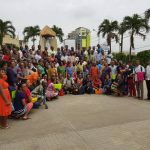 programme to support the growth of beneficiary businesses and connect them to local and international markets with the added aim of expanding their reach as well as taking their businesses to the next level. 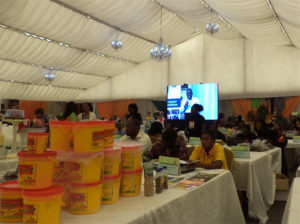 During the two-day exhibition products and services were showcased from priority sectors across the six geo-political zones of Nigeria. Products from agriculture, household items, furniture and fixtures, electrical equipment, fashion, jewellery, gifts, accessories, apparel, textiles, chemicals, industrial goods, building materials and equipment were exhibited. 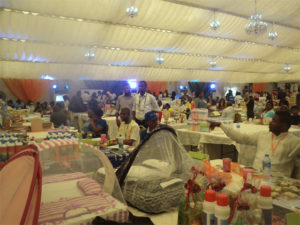 Many people from across Nigeria visited the trade exhibition. 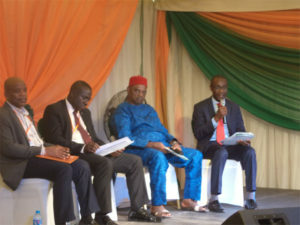 Officials from government departments and agencies like the Federal Ministry of Finance (FMF), National Agency for Food and Drugs Administration and Control (NAFDAC), Standards Organisation of Nigeria (SON), Corporate Affairs Commission (CAC) and Nigeria Export Promotion Council (NEPC) were part of discussion panel sessions at the event. 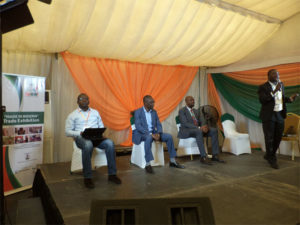 Other discussion panel sessions at the exhibition were composed of entrepreneurs, industry and professional associations, industry captains, local and international investors and the general public. 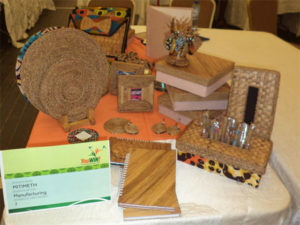 Promote the use and export of ‘Made in Nigeria’ products. The YouWiN! 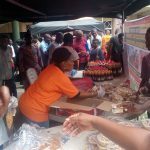 ‘Made in Nigeria’ Trade Exhibition was organised with support from The World Bank, Growth and Employment (GEM) Project, YouWiN! 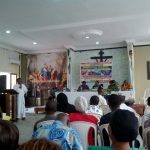 Partner Banks, Development Partners (DFID and affiliates), Small Medium Enterprises Development Agency of Nigeria (SMEDAN) and Corporate organisations. 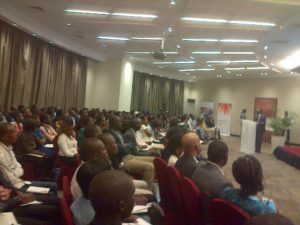 The Youth Enterprise with Innovation in Nigeria (YouWiN!) 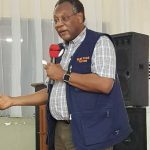 is a collaboration between the Federal Ministry of Finance (FMF), the Federal Ministry for Information and Communication Technology (ICT), Federal Ministry of Women Affairs, Federal Ministry of Youth Development, the World Bank and the organised private sector. The objective of YouWiN! is to create jobs by encouraging and supporting entrepreneurship through innovation. 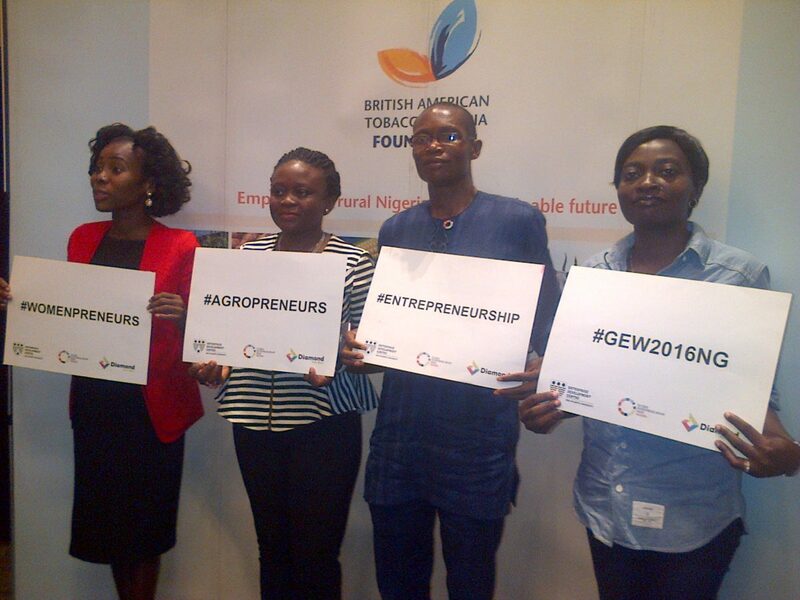 The programme provides financing, capacity building and mentoring to young entrepreneurs in Nigeria. 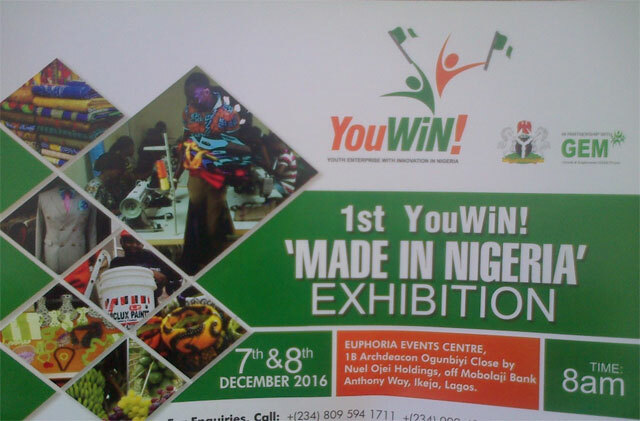 Credit: 1st YouWiN ‘Made in Nigeria’ Exhibition event programme. Click here to see more pictures at our website page. What are fingerlings? Catfish aged 0 – 4 weeks. What are juvenile catfish? Catfish aged 4 – 8 weeks. 3. 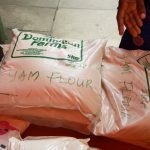 Three – four months feeding budget. Like human beings catfish grow at different rates. Sort the fish by size every 3 – 4 weeks and keep catfish of similar size in the same pond. Favour the faster growing fish. Feed them well and prioritise their spacing. If you do it right they should hit table size in 10 – 12 weeks. 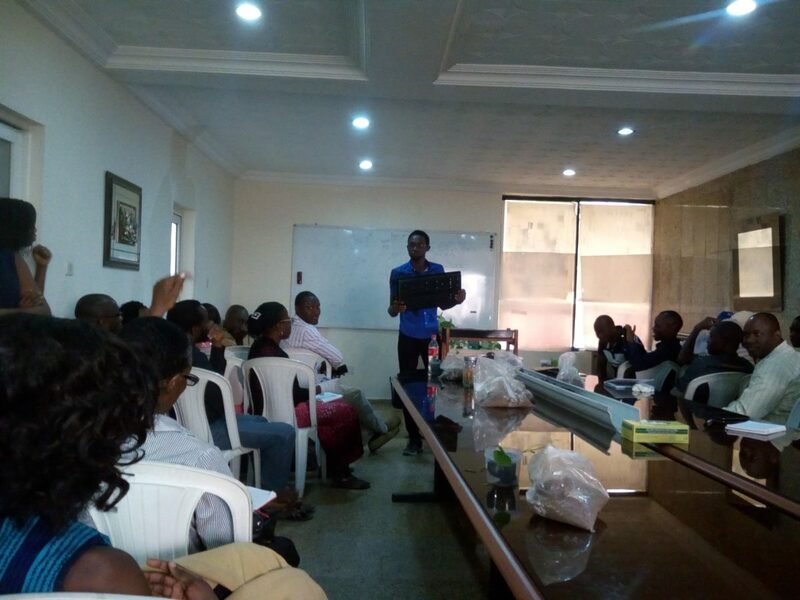 Following is a speech presented at a World Food Day event held on Saturday, 18th October, 2014 by the Managing Director of Divine Fish Farms. Good morning ladies and gentlemen. I would like to recognize Mr Duro Kuteyi (Chairman/CEO, Spectra Nigeria Limited), Mr. Kayode Oyeleye (Adviser to the Minister of Agriculture), Mrs. Bisi King-Paul (of Unilag 103.1 FM), Mr. Babawale Ojoye (CEO of Yoshinto International Limited), Mr. Keme Abuede (Managing Director, Conspicuous Cakes), Mr. Rufai Adeleke (CEO, Microres Limited), Mrs Lilian Eze (Founder, Just Events Academy), and Mr. Fabian Odum (Food Scientist). Good morning Lydia and the crew of Gourmet Guide on Unilag 103.1 FM. Good morning to everyone here at the Food Fair. My name is Ugochukw Ukwuegbu and I manage Divine Fish Farm. I am here today to talk about ‘The Great Prospects in Fish Farming in Nigeria’. The word ‘great’ is a big word. It is a word we can use to describe men like Nelson Mandela, Thomas Edison and the Wright brothers. ‘Great’ is a word we can use to describe countries like the United States of America, the United Kingdom and China. However, when you put the word ‘prospects’ after ‘great’ when describing something you mean the thing is not yet great, but that it has the potential to be great. When we talk of countries with great prospects the countries that come to mind are countries like Nigeria, Democratic Republic of Congo, India and Brazil. When we say ‘Great Prospects in Fish Farming in Nigeria’, we are saying that fish farming can be great in Nigeria but it is not yet great. We are also saying that though fish farming has richly rewarded Nigerians there is still much room to accommodate and reward more people. This is a product of fish farming. It is processed catfish which has been packaged and branded. What now are the factors in Nigeria that make this product have great prospects? 1. 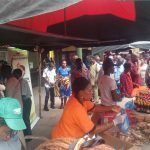 Market – Does catfish have people that will consume it in Nigeria? Nigeria is a country with an estimated population of over 160 million people. 2. 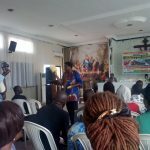 Factors of Production – Is there the land, water, labour, capital, feed, fish and other farming inputs necessary to grow and process catfish in Nigeria? 3. Can the fish be marketed to the customer? Can it be sold to the customer? Can it be delivered to the customer? Can the expectations of the customer be met at the right price? 4. Business – Can a business be made out of catfish farming in Nigeria? Can the business be sustained? Can the business be scaled up? 5. Are there the people that can make it happen in Nigeria? The answer is yes. 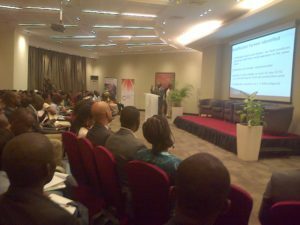 There is a source that suggests that youth unemployment in Nigeria is as high as 40%. Among this high number of unemployed youth are senior secondary school leavers and polytechnic and university graduates. Many of them have returned to higher institutions to enroll in advanced learning programmes. I am example of this last group. I am currently pursuing my Masters in Mechanical Engineering here at the University of Lagos. In one of our classes our professor said that the reason a lot of us were enrolling in MSc programme is because we are jobless. This begs the question, why are there so many highly educated yet unemployed youths in a country with great prospects in agriculture? I am an educated young Nigerian engaged in catfish farming and I want to tell you my story. 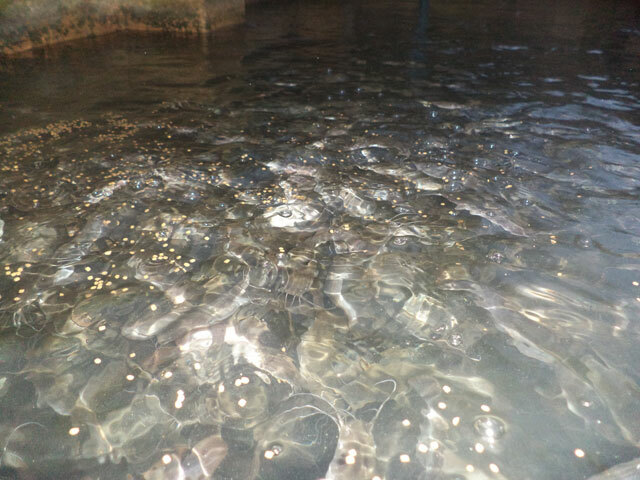 Divine Fish Farm began in 2008 when my mother received a loan of six hundred thousand naira (=N=600,000). 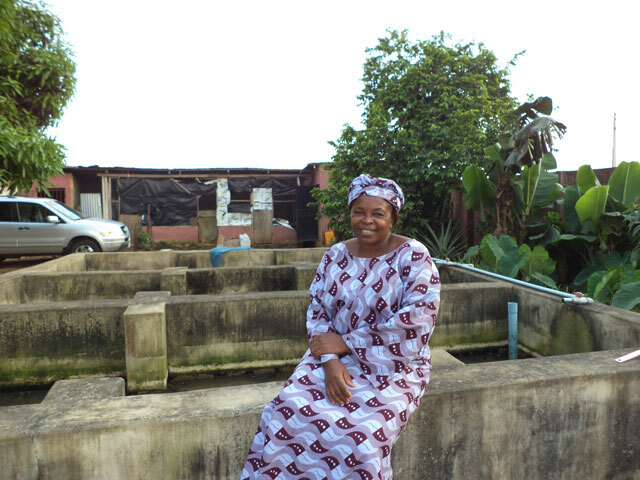 She used the money to construct three fish ponds in a portion of our compound near Sango Ota, Ogun State. 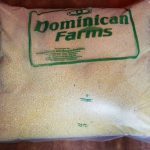 We stocked two thousand pieces of catfish fingerlings in the ponds, fed them to table-size and sold them after six months to market women who come in groups to our house to buy fresh catfish in wholesale quantities. These market women retail the catfish in nearby markets. 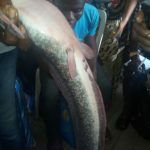 The running cost of growing the first set of catfish was about three hundred thousand naira and we made sales of about four hundred thousand naira. Today we can grow two thousand pieces of catfish with three hundred thousand naira and sell them for four hundred thousand naira after four months. We also provide consultancy services to other fish farmers. What is more is that we can still do better with our current capacity. We have made improvements since we began the business six years ago in 2008. 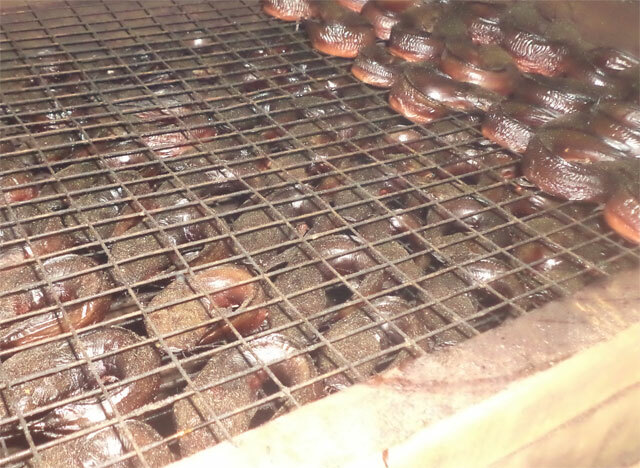 For example, last year, 2013, we invested in a brick oven for processing our catfish. Adding value to our catfish by processing them allows us get better returns. The main effect is that a catfish growth and sales cycle that used to take us six months now happens in four months. Processing our catfish also means we can have customers far from our farm. 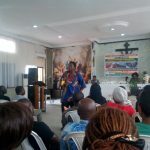 For example we have a customer in a catering school in Surulere, Lagos. We also have a customer in the United States of America (USA) to whom we export processed catfish. The first thing anyone will ask you if you say you want to start your own catfish farm is if you have reliable source of water. (This of course assumes you already have the piece of land on which you want to construct or install your pond). 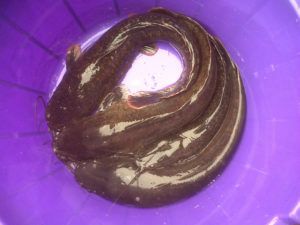 You will also need feed for your catfish, electricity to pump water, a little knowledge about how to grow the catfish, attention to the business, patience and keen interest to see you through each cycle of the business which begins when you stock the catfish as fingerlings and ends after you sell them all four to six months later. 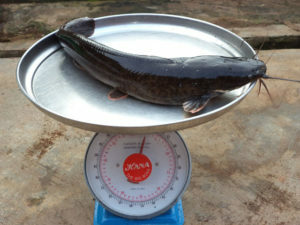 In the beginning we relied a lot on the experience of other catfish farmers in our locality around Sango Ota, Ogun State. We went further by going on the Internet to research catfish farming. We got material from a University in the Mississippi area of the USA which was very useful. 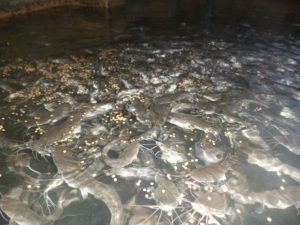 We learned from the material and with time that factors necessary for optimal catfish growth are quality of fresh water, quality of feed, feeding, and surface area of the fish pond in which the catfish grow.We have also received business training along the way because at the end of the day the catfish farm is a business and it is important to make profit to pay the bills and contribute to putting bread on the table.We have learned to balance the books, improve our marketing and broaden our customer base.For me it has been a great practical business learning experience. A catfish farm business with an annual capacity of six thousand fish and one million three hundred thousand naira turnover is a micro business. 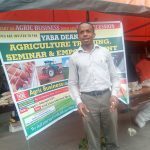 With my experience in the business it would not be too much trouble for me to scale up the business or even to venture into a new agro-based business. Fresh catfish is a delicacy. It is widely enjoyed as catfish pepper soup in homes. 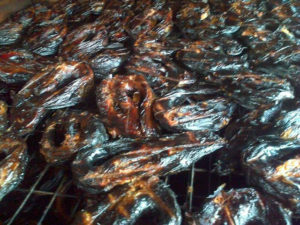 Catfish pepper soup is popularly called ‘point and kill’ in bars and restaurants. Fresh catfish is also great for cooking stews. There is also processed catfish. The processing in our farm is a systematic smoking and drying of fresh catfish in brick ovens using firewood and charcoal. The catfish that emerges at the end of the process is a tasty delight. It will transform your soups and stews. You can also use it to cook jollof rice, beans, yam porridge and other meals. 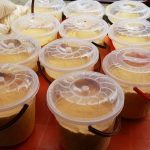 Expectant mothers love pepper soup cooked with dried fish. Some Nigerians even use the processed catfish to drink garri. Once I delivered processed catfish to a doctor at his clinic in Surulere and right in front of me he opened one pack and started chewing on a piece of fish. He so loved it that he finished one whole piece before I left his office. Catfish helps you meet your protein needs and boosts your intake of vitamins and healthy fats and fatty acids. Catfish is low in calories and fat. Eating catfish is a tasty way to boost your intake of omega-3 and omega-6 fatty acids. Both of these nutrients play a part in heart and cognitive health. 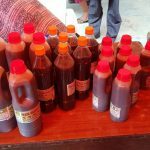 Consumption of these fatty acids is thought to be associated with reduction in blood pressure and reduced risk for certain cancers, inflammatory conditions such as rheumatoid arthritis, and even mental decline. Former President Olusegun Obasanjo, who is a farmer, onse said that if you want to become a billionaire then you should go into farming. 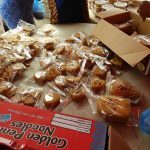 Food will always sell, and in Nigeria with a population of one hundred and sixty million people, there is a large market for good food at the right price. 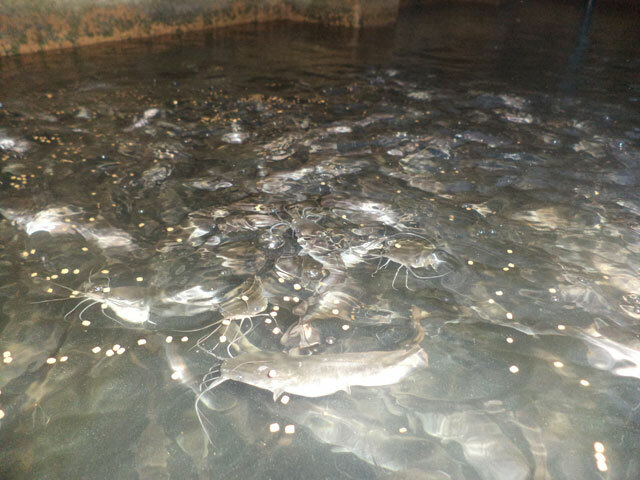 I encourage young Nigerians who have the interest and who have access to the factors of production needed to start a catfish farming business to try it. 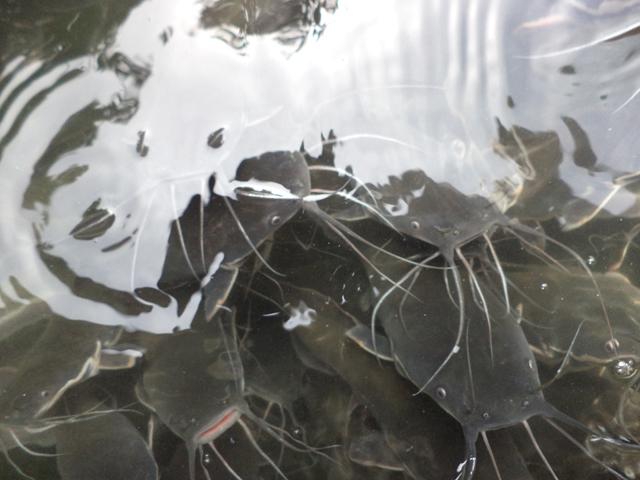 Catfish farming is something you can do in your backyard if you live in a compound owned by your family. If you have the opportunity and the will, go start something. When you succeed it will open other doors for you. But then it does not have to be catfish farming. 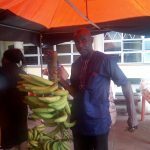 Nigeria is blessed with so much arable land in the rural areas and if you come from an area where farming is practiced extensively you can give it a try. It is a move that will require a lot of bravery but if you have completed higher education then you should be sufficiently educated to pull it off. Agriculture has a long chain of production which includes planning, production (crop production, fruit production, and livestock production), harvesting, processing, marketing, distribution and sales. An enterprising young Nigerian should be able to find somewhere to plug his skills into. 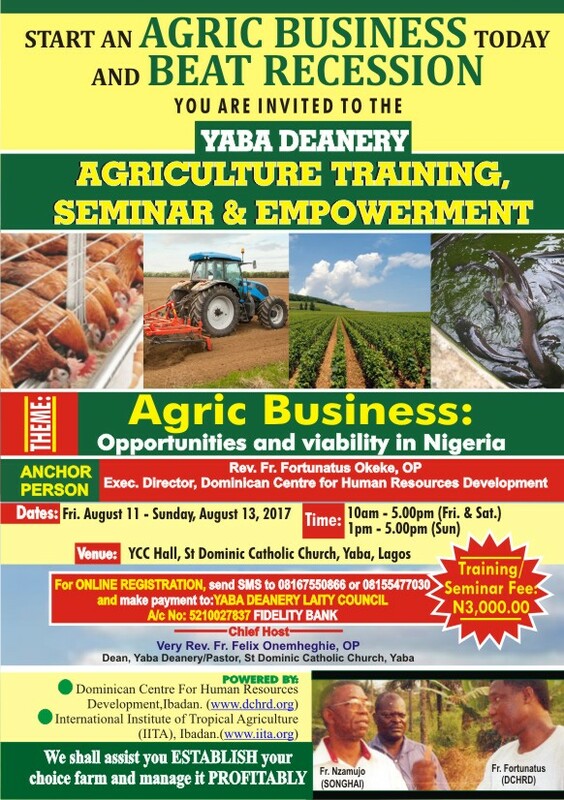 You do not have to be engaged in the physical farming itself to be involved in the economy of agriculture in Nigeria. 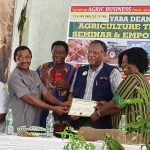 Furthermore, agricultural methods in Nigeria’s rural areas are largely primitive and if you are equipped with some capital and the right education you can do wonders. 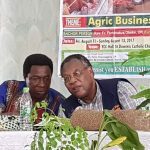 One thing I am sure about is that there is vast potential in agriculture and one piece of cheering news is that government at the state and national levels in Nigeria are allocating resources to implement agricultural reforms in Nigeria. One of their problems is that not enough young people are tapping into their programmes.